Rightly called the "Niagara of India" Athirappilly (Athirapally) Falls is located around 75 km north east of Kochi. 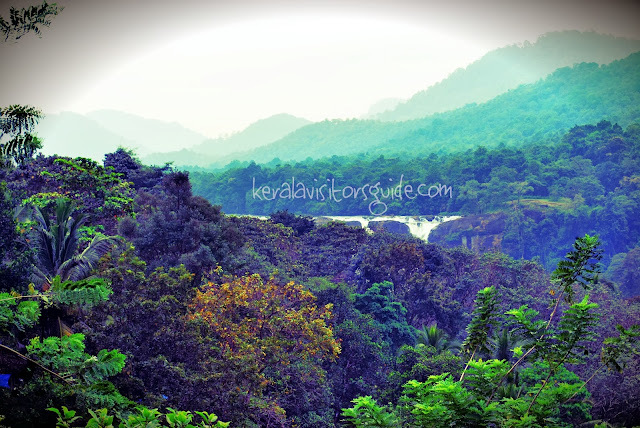 The 145 km Chalakkudy river originating in the Anamudi mountain of the Western Ghats and flows through the Vazhachal forest towards Arabian Sea. At Athirappilly falls water surges around big rocks and cascades in 3 separate plumes. 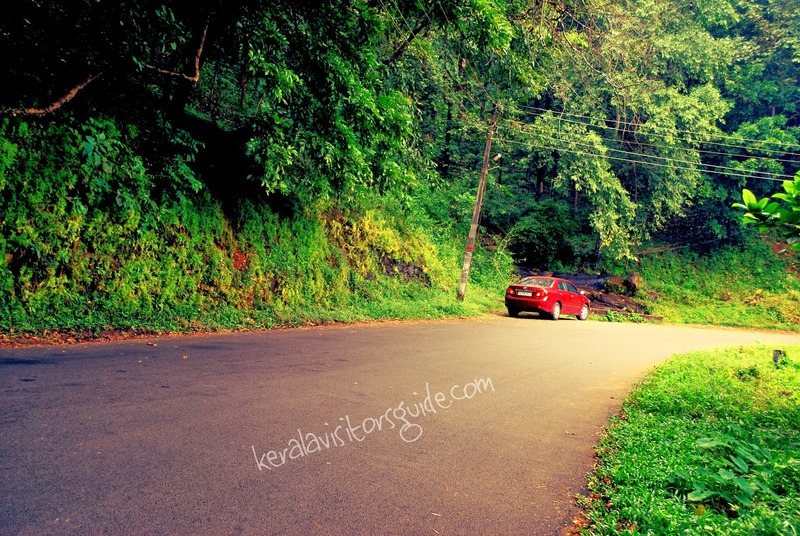 You will start feeling the green environment and forest the moment you take turn to the Athirapally road from Chalakkudy on National Highway 47. The falls and the surrounding are are natural, its one of its kind riparian ecosystems in kerala and is the second most bio diverse area in the state. The only artificial creation in the area is the stone pavings for trekking towards the falls. Walk around 10 mins from the Entrance you reach the river flowing past the rocks and trees. You find little children playing in the river and a few steps ahead the water goes down more than 80 ft. Trek another 20 minutes down the hill you reach under the falls. Its quite a long descent to the foot of the falls, but certainly worth the effort. If you have difficulty in walking and climbing or if you have toddlers, you better avoid the second part. Its more likely that you will end up carrying your kids back while climbing back. Its a sure bet that any effort you put for it will surely pay back. No wonder the sight has been a favourite location for so many movies in various languages in India. 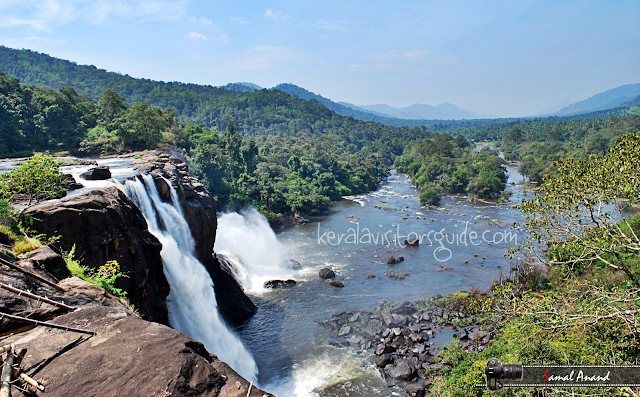 If one is on a holiday to Kerala a Visit to the Athirapally Falls is a must watch for all those who love the magnificence of nature. 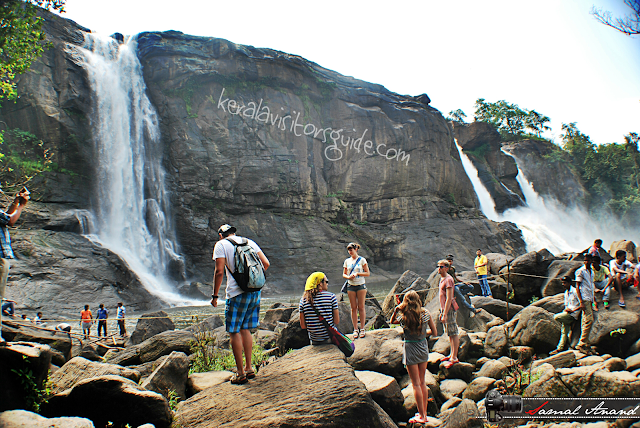 Ideal season for visiting the falls is during Monsoon (June - Sep), try to avoid those crazy raining and land sliding days. 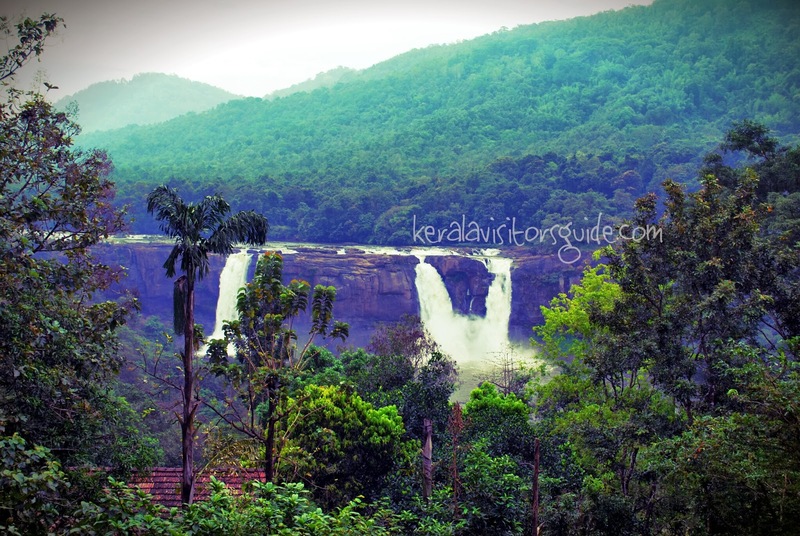 Monsoon is the only time you see the complete stretch of Falls with water falling down. There are many treks around the hill area to explore the falls. During monsoon the trek turns slippery and filled with little frogs jumping here and there. It takes only less than a day to cover the falls, but if you really want to immerse fully into it stay at a resort, preferably a place where you can hear the sound of the fall to fill your soul with freshness. 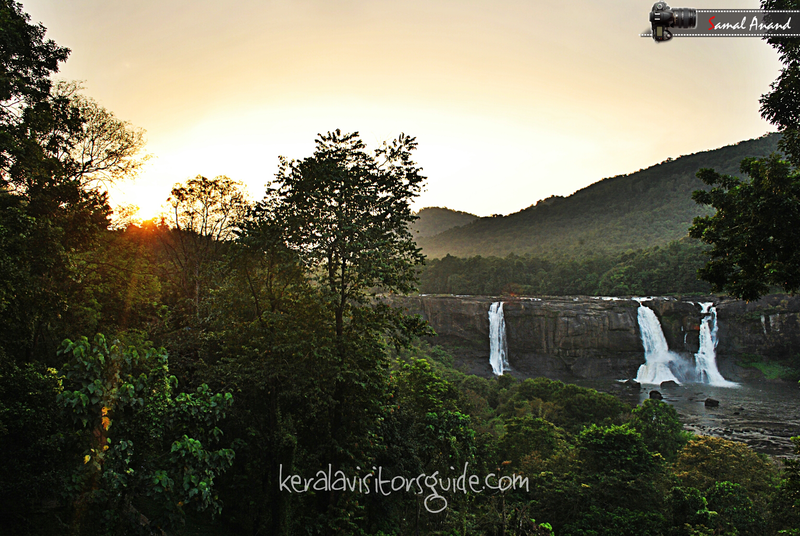 As the visiting time to the falls is only from 9:00 Am to 5:00 PM, the only chance to view the falls during Sunset and sunrise would be from a resort or from a trek path. A view worth Million Dollars: Combined with natural greenery this view infuses freshness into your soul. 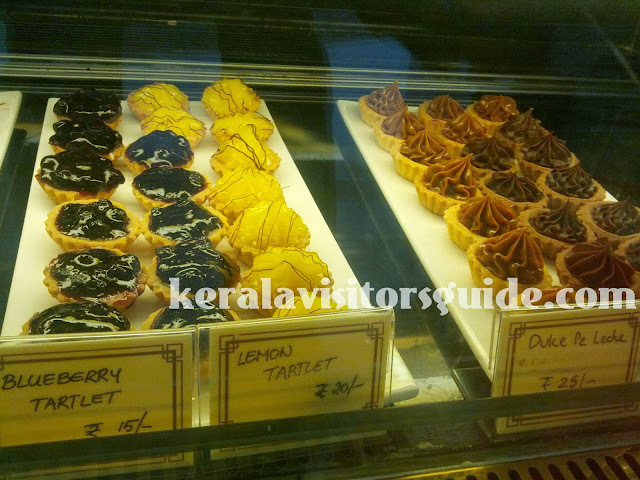 Read here to understand what a Harthal is. This must be a common question for many of the tourists visiting Kerala. There is no one word answer for this. The issues you might face depends on the situation on which the Harthal is being declared and the place where the trigger for the harthal had evolved. There are mainly 2 types of Harthals, first being called for the complete state and other being for a District or a Locality or City. In the State Harthals it will be very difficult for you to enter or travel through the State. Harthals are usually declared just one or 2 days prior, which will make it very difficult for you to arrange alternatives. So do either of these, 1) Make sure you reach the place the prior day night of Harthal and check in or 2) push your arrival after 6:00 PM on Harthal day. Most of the cases you will witness a total stand still, which will be a Fun Killer for you. If you are commuting you will surely face trouble finding Restaurants or shopping of any kind on the route. Only facilities working that day will be the Police and Hospitals. You will be better of not on the roads that time period. Just stay wherever you were staying the previous day night. This will also depend on the type of vacation you are into. If you are spending time in a resort or a package tour where there will be zero commute involved, then its most likely that you are not impacted. 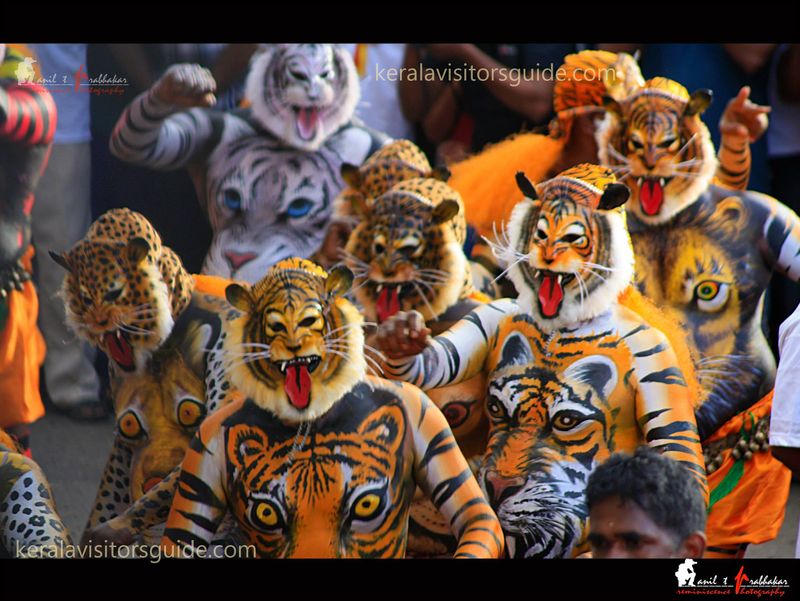 Pulikali (Play of Tigers) is a colorful recreational folk art evolved in the state of Kerala. Pulikali processions happen during Onam celebrations across various parts of the state. The most famous of it happens in Thrissure City on the fourth Onam day which attracts more than 30000 viewers every year. The performers painted like tigers & hunters dance to the beats of traditional instruments like Udukku & Thakil revolve around the theme of tiger hunting. The striking feature of this art is the colorful appearance of the performers. It takes 7-8 hours to prepare each performer. A combination of tempera powder and varnish or enamel will be used to make the paint. Highly skilled artists will work continuously to prepare each performer in each group to perfection. Along with tigers there will be few hunters also present. All of the art works feel so lively that kids might get scared by seeing them perform hunting. Watch the events calender for the next Pulikali Event. While roaming around the streets of Panampilly nagar, we accidentally came across this cafe on Cross Road 7 just 1 block from the main road. The foodies inside us just wanted to run inside and try some of their specials. 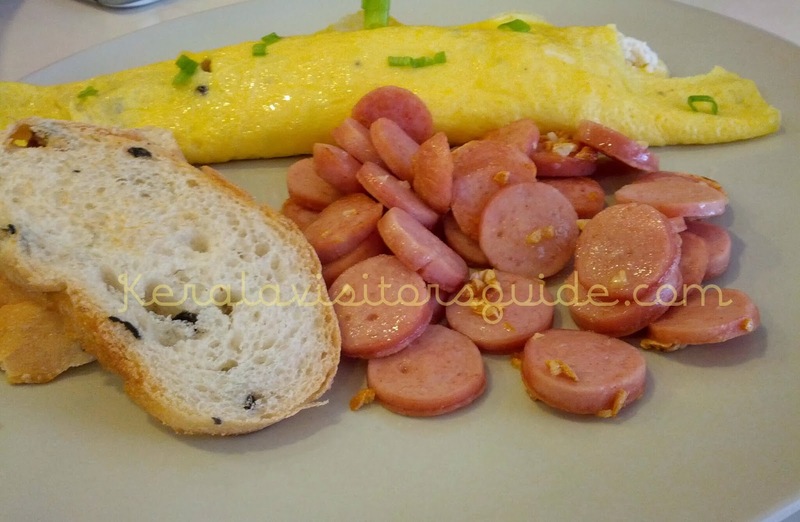 The place is a house converted cafeteria serving Sandwiches, Pastries, cookies, toasts and variety of drinks. We wanted to try each one of the items in their menu, but how much 2 + 1 Kid could eat at 12:30 after a late heavy Breakfast. We finally settled with below items in our bill. 5) Eclair & Macron for the Little one. Except that the item 2 had a pinch of salt extra, all the others exceeded our expectations. We paid Rs 780/- for 1 serving of all the above items, which I felt was not at all costly for the difficulties they must be going through to get good ingredients. This is not a paid/sponsored review.